(Bloomberg) -- Nesrete Kumnova has spent the last two decades looking for the body of her only son. 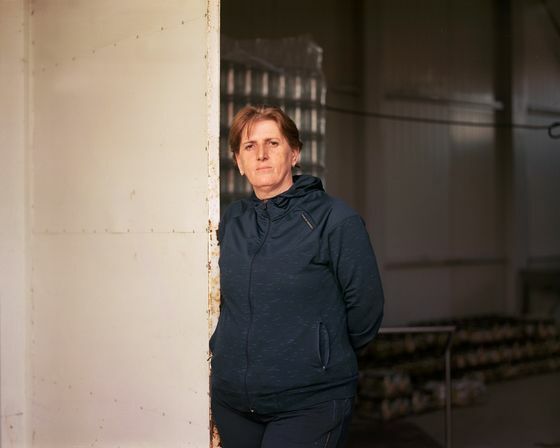 Twenty-two at the time and an aspiring pharmacist, Albion was snatched in his slippers on March 31, 1999, a week after NATO forces entered the war between ethnic Albanians and Serbs in the former Yugoslav province of Kosovo. 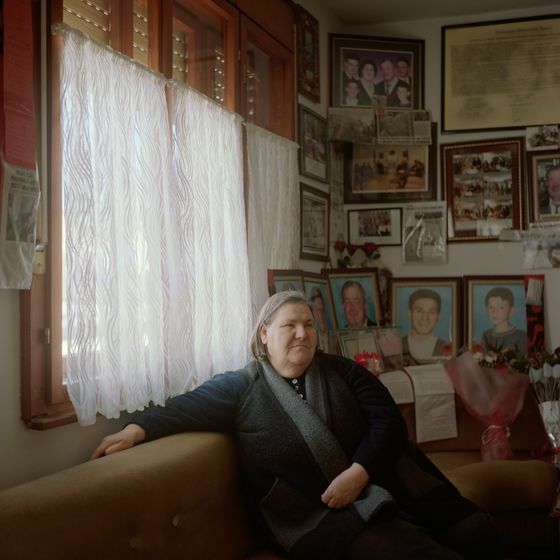 There’s a picture of him in her office in the war-scarred town of Gjakova, opposite a floor-to-ceiling montage of photos of some of the 1,500 other people from the area missing or declared dead. Under pressure from the U.S. and European Union, the Kosovo and Serb leaders are trying to reach an agreement to mend relations. That could lead to the carving up of her homeland at the negotiating table while the legacy of the last attempt on the battlefield still lingers. 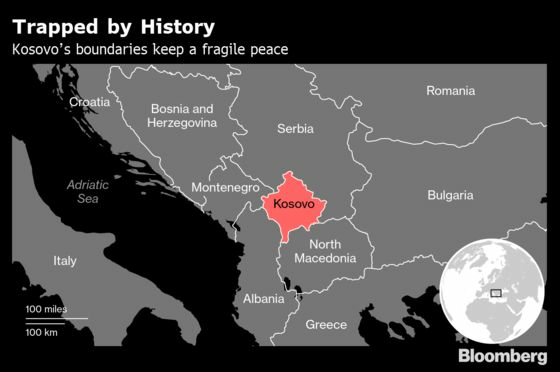 Two decades may have passed, but Kosovo remains trapped by its own volatile history, a state that’s Europe’s poorest, only partly recognized internationally and haunted by the ghost of former Serbian strongman Slobodan Milosevic. Kosovo declared unilateral independence from Serbia in 2008 and was recognized by about half of United Nations members, including the U.S. and most of the EU. Serbia, backed by China and Russia, refuses to recognize it. As talks between the leaders accelerated last year, Thaci said a deal could include the contentious land-and-people swap. Of Kosovo’s 1.9 million people, 92 percent are ethnic Albanians, according to the CIA Factbook. It notes that a true estimate is difficult because Serbs who live mainly in the north boycotted the 2011 census. Vucic, the Serbian president, said last month that getting any accord over the line won’t be easy, but the two sides aren’t as far apart as they look. 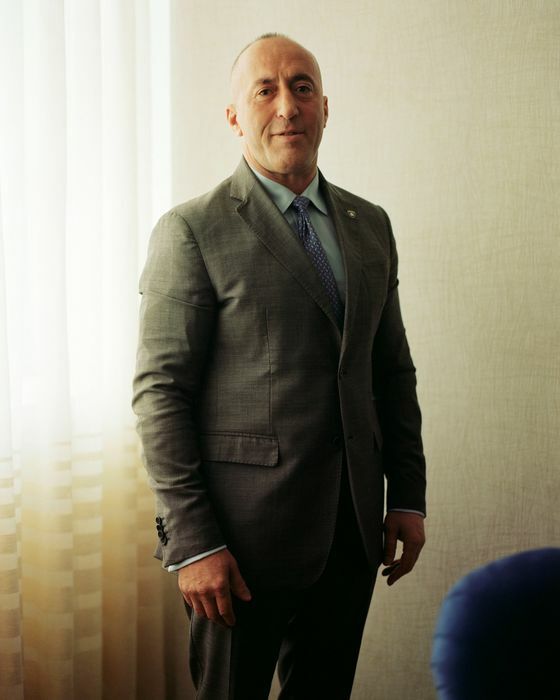 “We both know what we want,” he said in an interview at a global security conference in Munich. Read More: Is Europe Sleepwalking Into Another Balkan War? The jobless rate sits at 30 percent, there’s been a huge brain drain and growth is dependent on remittances, consumption and real-estate investments from the diaspora. Gross domestic product is seen expanding at 4 percent this year, but central bank Governor Fehmi Mehmeti said the rate needs to be twice that to address the challenges. She hopes that politicians will start working for Kosovo and the nation will become a flourishing member of the EU with visa-free travel and an end to corruption and organized crime.